The United Arab Emirates is working to send a probe to orbit Mars. The UAE Space Agency has called its mission “Al Amal” Hope and has now introduced it to the public. 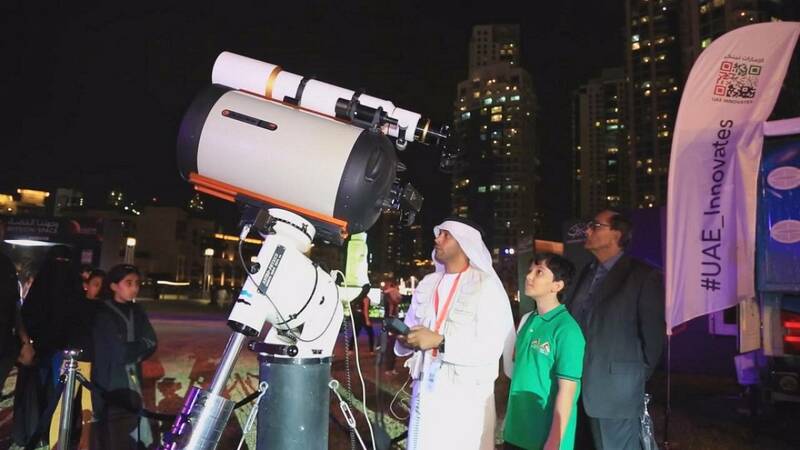 Various events have been organised in Dubai to give residents an insight into future plans for space exploration: workshops and interactive exhibitions that target families and schools. These activities are designed to encourage students to explore and research. The probe is planned to enter Mars’ orbit in 2021, the 50th anniversary of the country’s independence. It will be the first space exploration mission by an Arab state. The teams are working with scientists and academics at the University of Colorado. The idea is for the team to learn from their academic partners and bring the knowledge back to the UAE for the spacecraft assembly. Mars was once thought to be a habitable planet because of the presence of water just like on earth, and recent explorations by NASA state that the Red Planet used to have a cool climate. Once the probe is in orbit around Mars it will study all aspects of the planet’s atmosphere. The daily and yearly dynamic climate of the different layers and the elements that make up their proportions, and finally the release of hydrogen and oxygen into space. Scientists believe that Mars became too hot which caused the water to evaporate and the molecules to escape through the edge of the atmosphere into space. Understanding what happened to Mars may help us to understand what is happening to our home – Earth – and how we can protect the atmosphere. At present there are 75 people in the Emirates Mars Mission team, and the plan is to increase the number to 150. The sum of $5.44 billion has already been invested and the question is not whether these funds will be sufficient, but whether the timeframe set by the UAE will realistically allow the completion of the project. Those in charge of the space programme hope the first Arab mission to Mars will once again galvanise scientific enquiry and will be a source of inspiration to millions of young Arabs, in the way Americans growing up in the era of the Apollo programme craved the prospect of space exploration.